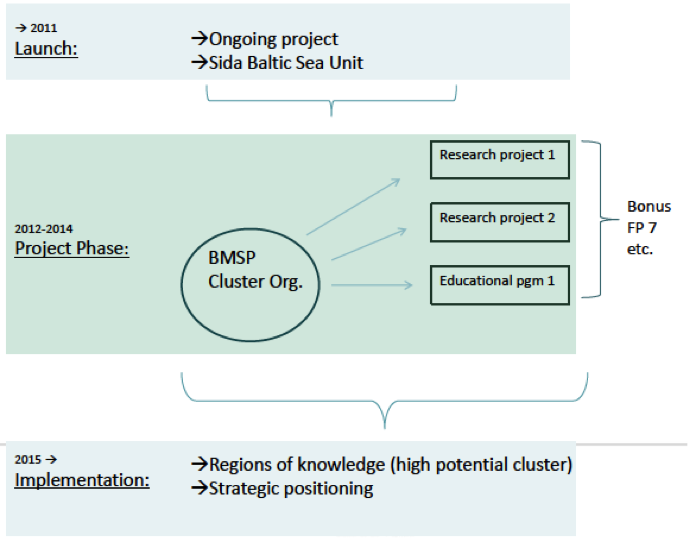 Baltic Maritime Science Park (BMSP) constitutes the first concept of an arena aiming at stimulating a dynamic cluster development in the Baltic Sea Region. The BMSP shall serve as a meeting place aiming at match making between these 4 categories of stakeholders. The exchange between these players is expected to stimulate the development of new ideas, innovations, research and business – all in all, new employment opportunities. The forum is both digital, through informative and interactive webpage functions, as well as physical through meetings, seminars, workshops and round table discussions.